I have been trying to find a good recipe for dairy free whipped cream for my daughter ever since we found out she was allergic to dairy. This had been on my list of things to try, and I am SO excited that it worked! Not only is it dairy free for her, but it’s also low glycemic for me. 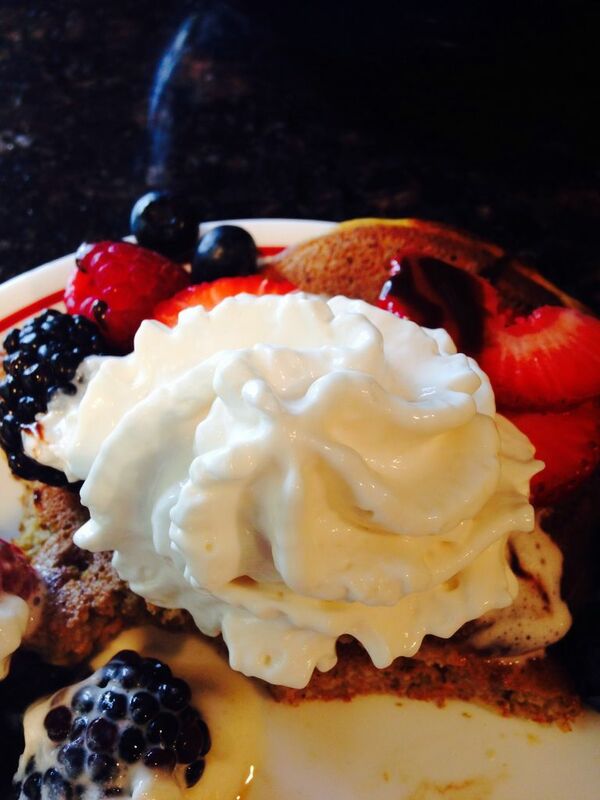 Seriously, healthy whipped cream? Awesome! It’s not quite as simple as whipping heavy cream, because coconut cream tends to become solid when it’s cold, and you can’t get it to set up as whipped cream if it’s too warm. This morning I used only coconut cream, but next time I’ll try adding some light coconut cream, so I can cool it without making it solid. (It did work with only the full fat, but I had to keep it just at the right temperature). You’ll need a whipped cream dispenser and chargers. If you don’t have them they’re easy to find on Amazon, using those terms. I believe all the ingredients in this recipe are Paleo-approved! Combine the ingredients, starting with just 1 tablespoon of the light cream, in a bowl at least a few hours before you will need the whipped cream. You can do this the night before. Also put the container part of your whipped cream dispenser in the refrigerator. When the ingredients are thoroughly chilled make sure the cream has not become hard. If it has, melt it in the microwave and add another tablespoon or two of the light cream. It should be thick, but not solid. Once it is thoroughly cooled you can make the whipped cream. Add it to the dispenser and follow the instructions for your dispenser. Serve cold. The cream will keep in the dispenser for a few days, so this is a good “make ahead” recipe. 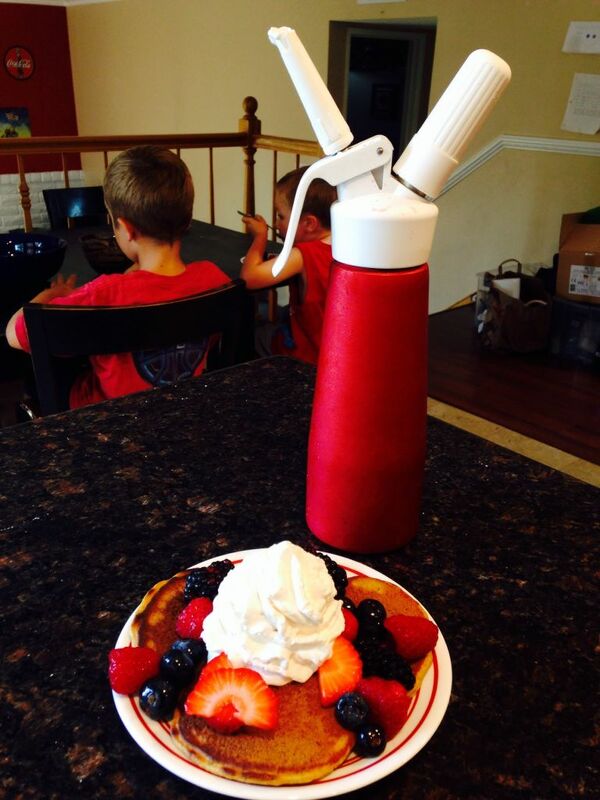 5 Responses to "Dairy Free Whipped Cream"